This is an awesome restaurant in Indian Rocks Beach area. Jimmy Guanas is a waterfront bar and grill. Watch a sunset in this restaurant which is great for couples in love. This tropical themed restaurant offers a great selection of food with excellent service. The meals are very generous portions at a great price! Friday nights they offer their all you can eat fish fry which is grouper made four different ways, grilled, blackened, jerk, and fried, served with delicious french fries and a small order of cole slaw. 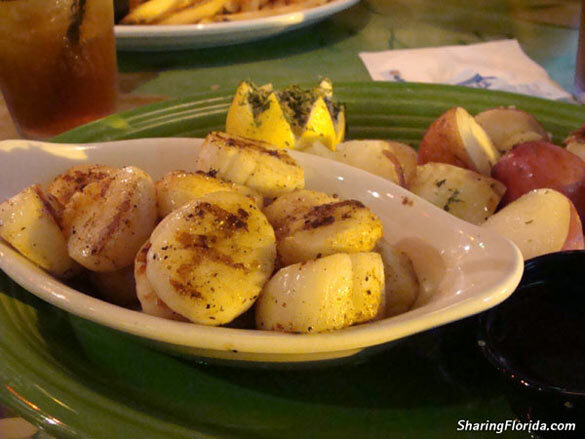 Another mouth watering dish is the 1/2 pound grilled scallops which is accompanied by salad, vegetables, and your choice of potatoes. 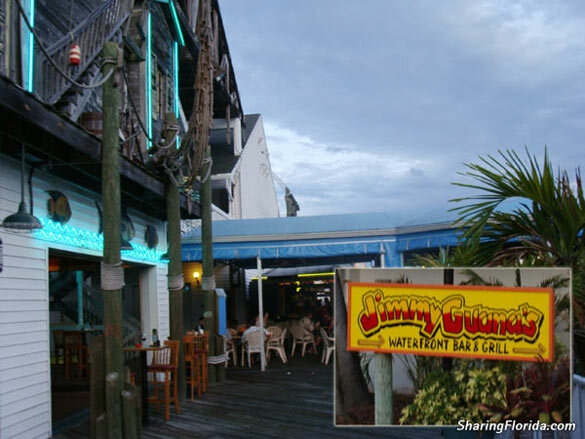 After you enjoy your dinner, you can step outside to Rum Runner’s Tiki bar for some live music and a nice stroll along the waterfront.